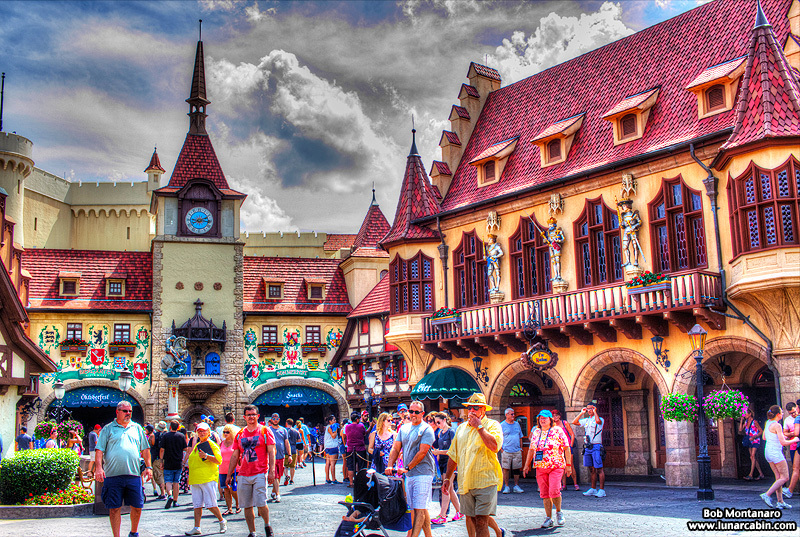 The Norway and Germany Pavilions respectively at Disney World’s EPCOT World Showcase are heavy with Scandinavian and German architecture mixing different ages. 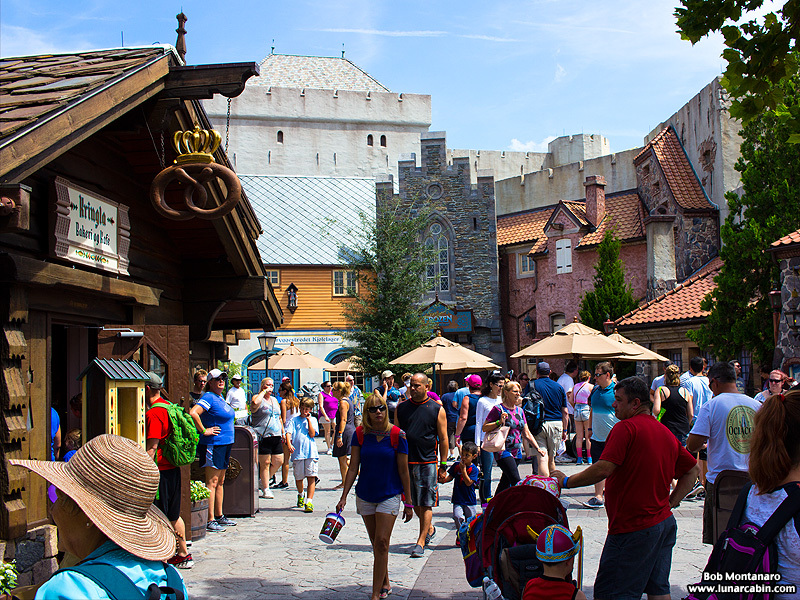 Looking down the main concourse into the Norway Pavilion. 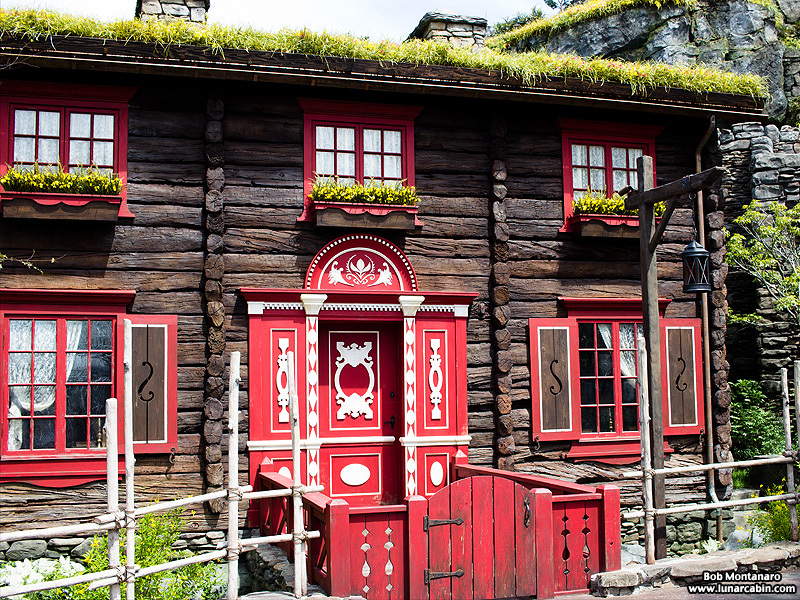 This house looks like it would be cozily warm during a harsh Norwegian winter. In Florida, not so much. 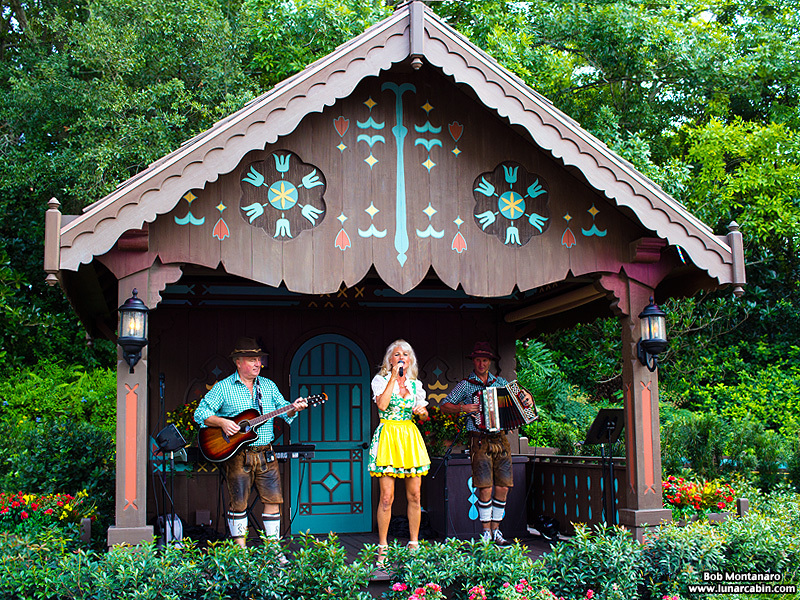 This is part of the Royal Sommerhus and is related to the Disney Frozen movie tie-in transforming the Norway Pavilion for better or for worse. 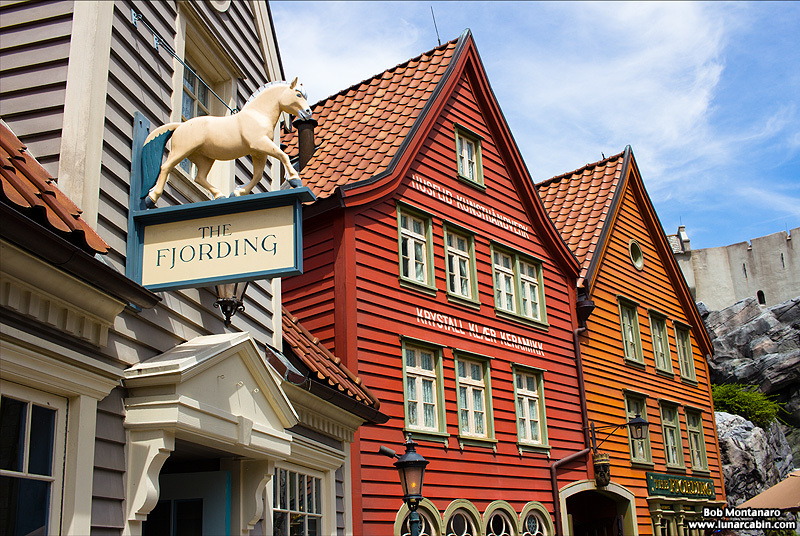 Facades suggestive of the historical architecture in Bergen. 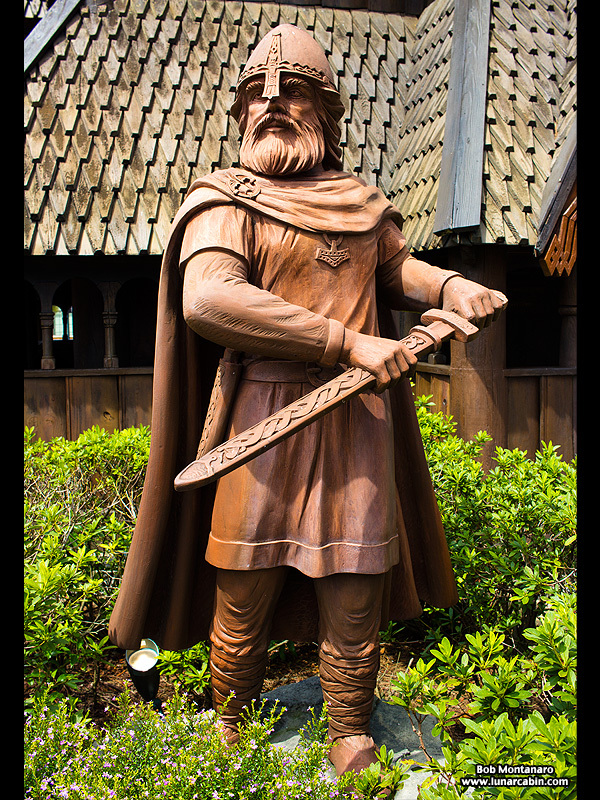 The Viking standing guard at the entrance to the Norway Pavilion keeps his thoughts to himself but the expression on his face says a lot. 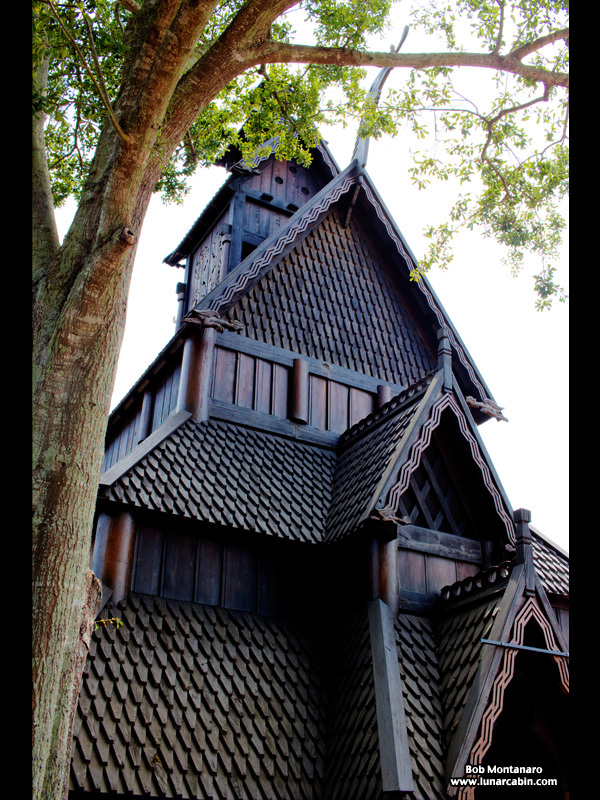 Reproduction of a medieval Stave Church. 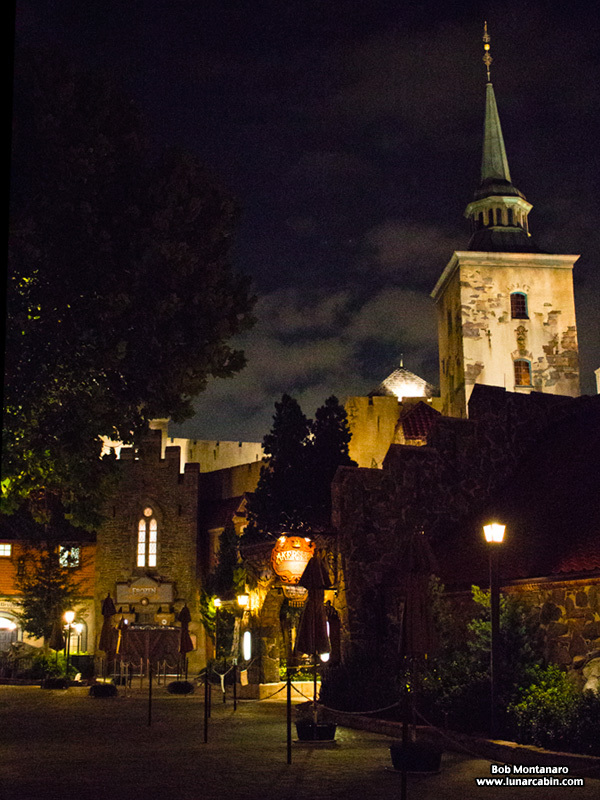 The Norway Pavilion at night. 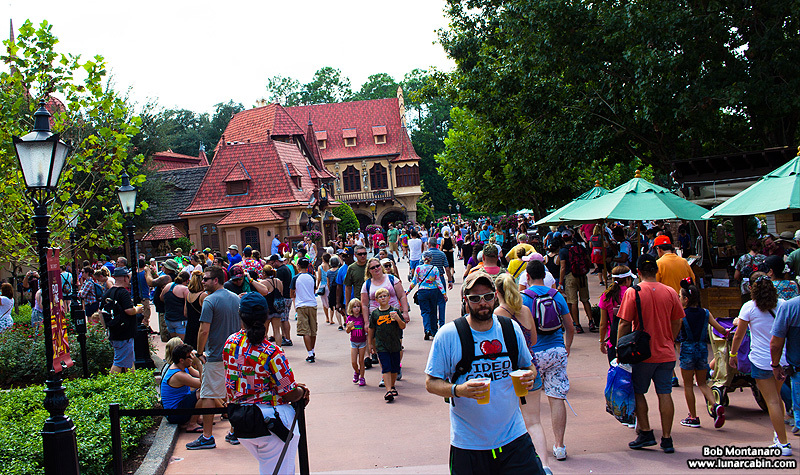 People pack the approach to the Germany Pavilion. 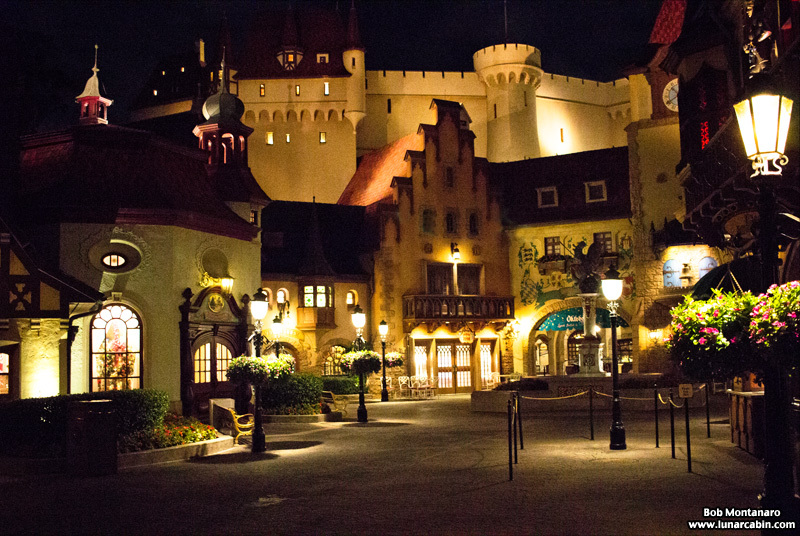 Looking into the Platz or town square. 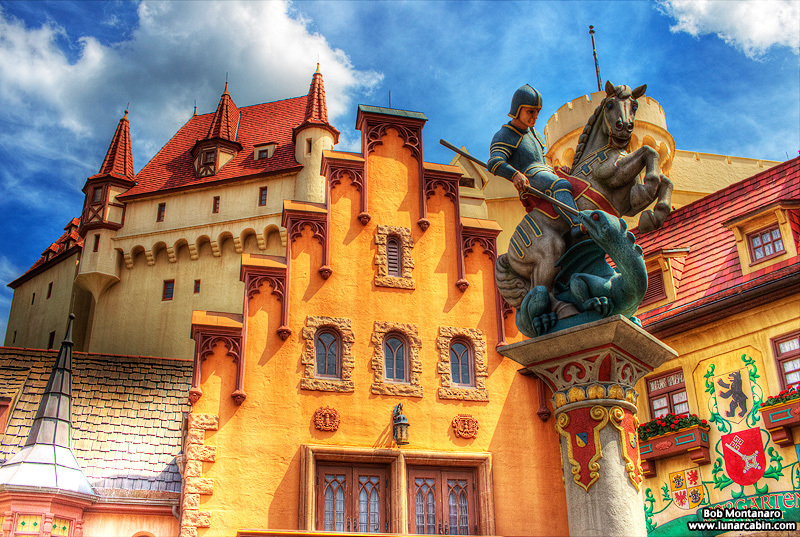 St. George kills the Dragon with a mix of Germanic architecture as a backdrop. 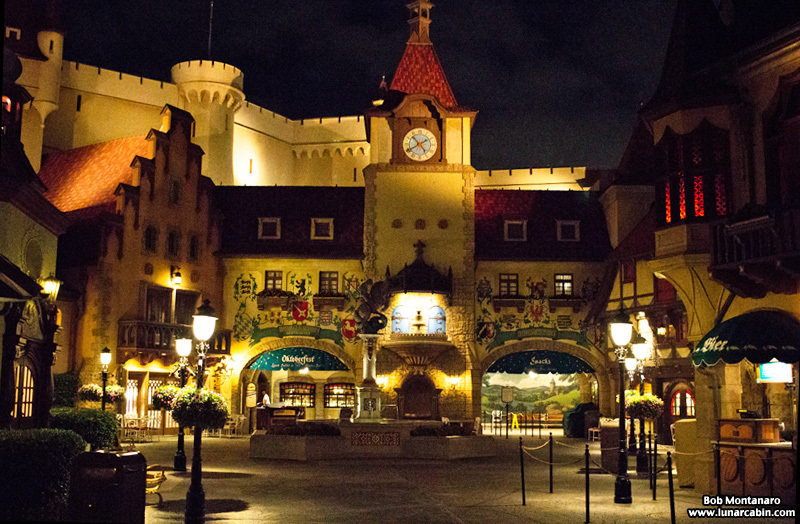 The Germany Pavilion at night. 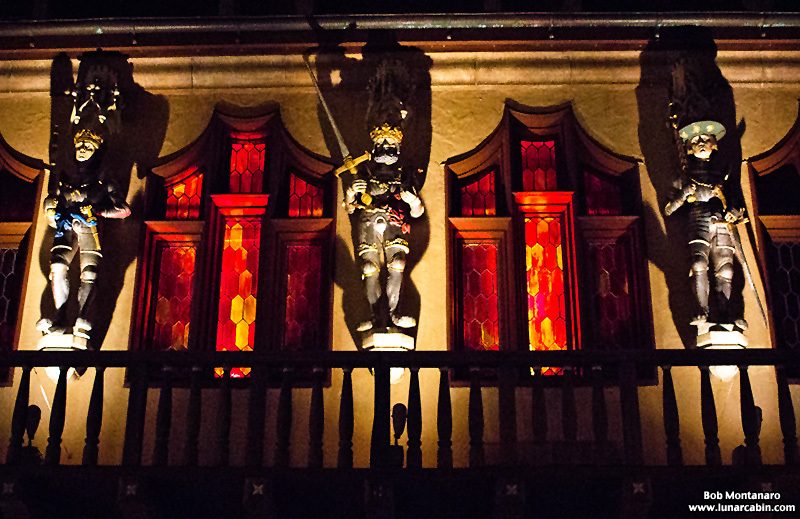 Figures reminiscent of those on the Historical Merchants’ Hall (Historisches Kaufhaus) built in the 1500s in Freiburg, Germany.